Windows Phone 8.1 Developer Preview Solves HTC 8S Storage Issues! There is definitely a good news for HTC 8S owners, who have repeatedly trying to reach out Microsoft & HTC for the low internal memory issue of HTC 8S. Not just that device but any other Windows Phone that has low internal memory will benefit from the upcoming Windows Phone 8.1 update from Microsoft. Being a registered developer I got the chance to upgrade my device to the Windows Phone 8.1 Preview on the HTC 8S, and it worked flawlessly on the device without any issues. If you are not a developer you can still make this update with temporary free registration with Windows Phone App Studio, and get your hands on this app called – Preview for Developers from the store. You have to register at app studio with the same Microsoft email ID that you use with your phone. Out of 4 GB of internal storage, user was only allowed to use approximately 1.22 GB of storage for app installation. So it was hard to install more than 10-15 apps and games on this device, due to low internal memory. Also keeping the app count low, wasn’t the only problem. The unending expansion of ‘other storage’ used to fill up all the remaining internal storage space within few days, and it needed constant reset of the phone. Even though HTC 8S and HTC 8X, both received the GDR3 update, the remove temporary storage feature was super useless to make some extra space. What Changes with WP 8.1? After installing the this Windows Phone 8.1 Developer Preview update successfully on HTC 8S, the storage sense took all the problems away. All my new apps can be stored on external memory card (SD card) directly while installing, and I can move them anywhere later on, if I need to. The downloads of Music and videos are now directly going on SD Card, so its super easy to manage the whole thing on HTC 8S and HTC 8X. So, now you can enjoy your HTC 8S with any number of apps and games on your SD card! Microsoft did take almost 12-13 months to figure this thing out with memory, but better late than never. Right? 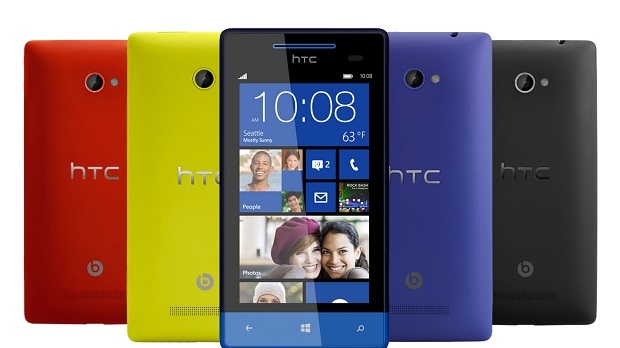 HTC Windows Phone 8X Hitting Stores In November 8?